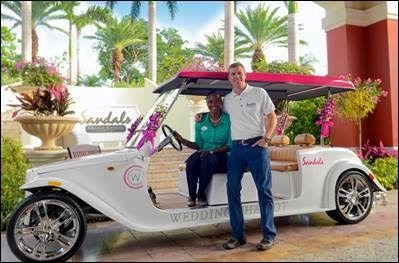 In December 2014, Sandals Resorts made the announcement that they'd be rolling out their new fleet of specially customized Wedding Chariots at select resorts. Well here they are! On their big day, brides and grooms can now enjoy the convenience of being whisked away from location to location in Weddingmoon style! 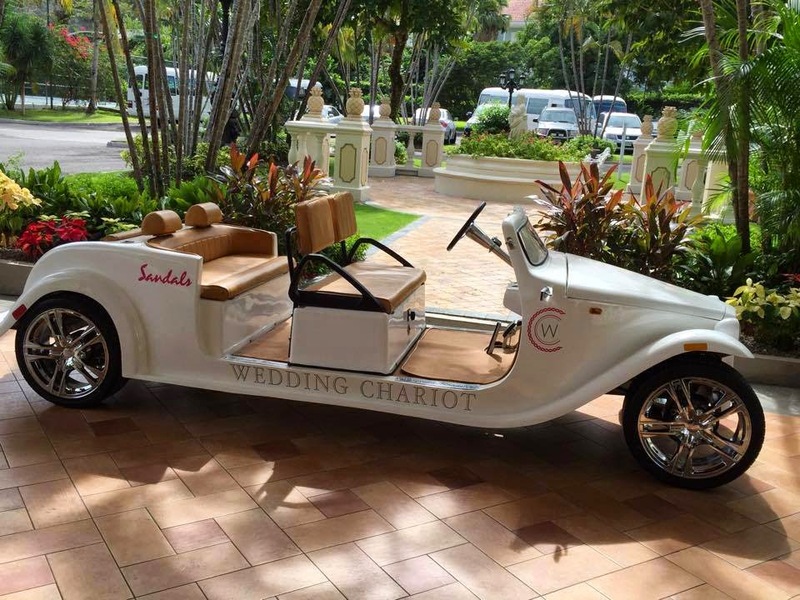 Couples are able to reserve the chariots by coordinating with their on-property resort wedding planner. 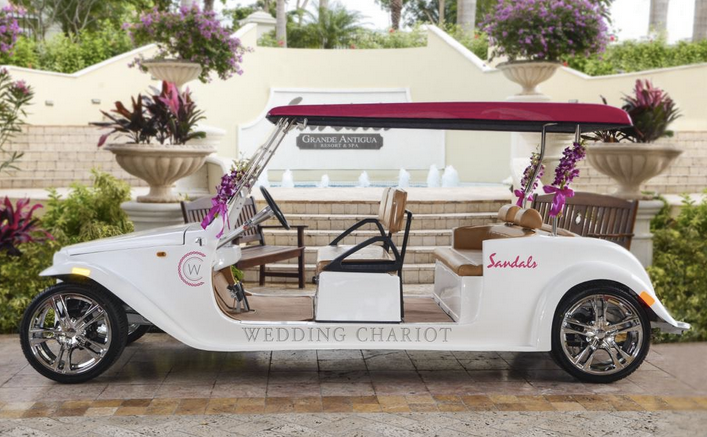 Whether being whisked from the luxurious Red Lane Spa back to the Wedding Lounge or departing the reception as newlyweds to one’s Love Nest Suite, the Wedding Chariot is another Luxury Included offering that delivers the Sandals "Your Wedding.Your Style." promise. If you're planning a Sandals or Beaches Weddingmoon for 2015 or beyond, consider contacting us! Our planners are annually certified Sandals Weddingmoon Specialists and our help is complimentary to the bride, groom and any/all guests too! We'll take all of the stress and hard work out of planning your destination wedding and help make it a wonderful experience from start to finish!